Preserve the life of your pads and improve the workability of any polish with the Chemical Guys Polishing Pad Conditioner. Mist this product on your buffing pad before applying a polish to help reduce friction. It allows you to continuously work in a polish, prevent dusting and help ensure you don't create any holograms from the pad being too dry. This reduced friction also helps prevent wear and tear on the pad so the pad remains safe and effective to use for many details. The Polishing Pad Conditioner can also be used as a quick detailer to help quickly clean up your vehicle's glass, paint, wheels, etc. with the help of a clean microfiber towel. 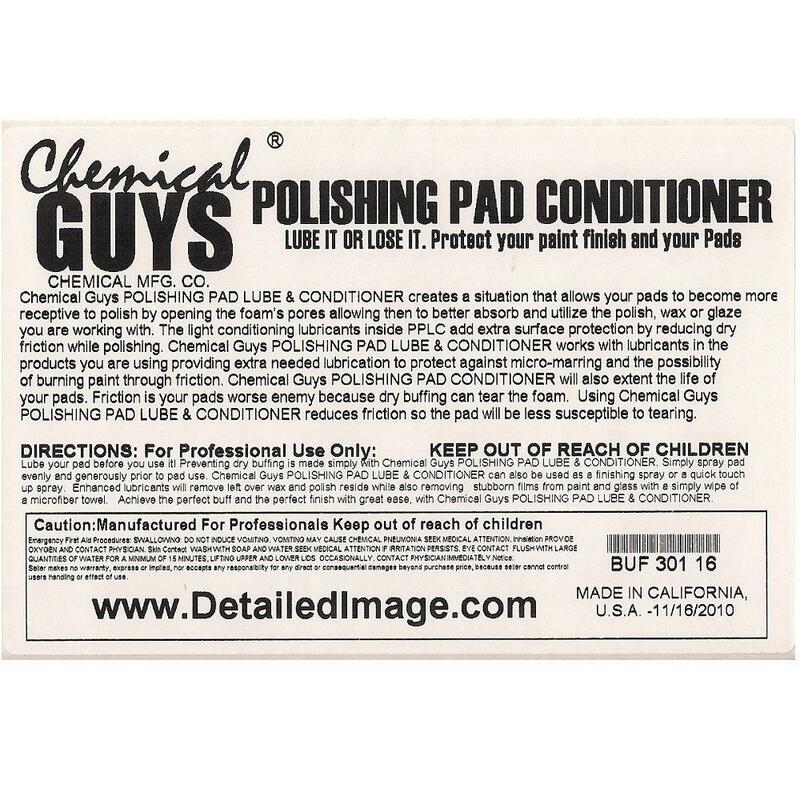 So you can use this versatile product to condition the pad and clean the paint after polishing. Try the Chemical Guys Polishing Pad Conditioner today and extend the life of your pads while detailing safely! CG Polishing Pad Cleaner contains a degreasing agent that breaks up oil and eliminates every last trace of residue. Soap (as in dish soap) can leave a residue of its own, so there is no soap in this cleaner. Intense cleaners and degreasers break up oily deposits left by car care products so the pad rinses completely clean. Dilute according to desired needs. Shake product well. Always dilute first. Dilute (1 oz.) Polishing Pad Rejuvenator in 16oz of water. Can be sprayed on or. Put your used foam and lambswool pads in the bucket and allow them to soak for up to 15 minutes. Use a Foam Conditioning Brush to agitate the pads while they soak. Rinse the pads thoroughly and lay them out to air dry or put them back on the machine and spin out all the water for best results. 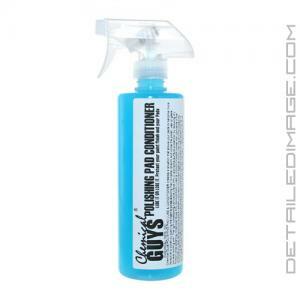 I tried this product from chemical guys and it works great. This product keeps my pad well lubricated. I look forward to buying this product in a gallon. I should by this by the gallon, although it takes very little, makes things go much smoother and with out trepidation . Two squirts and away you go, also helps get rid of the over sling from compound. Works great on the pads. I read on the label that it can also be used as a quick detailer and clay lube. I used it for remove light dust on my car and it worked pretty good as a QD. Haven't tried it as a clay lube yet though. Ordered Thursday afternoon and already in my hands by Saturday morning. First time but most definitely not the last time I order from y'all.